David S. Smith Fence, Inc is the number one choice of privacy fencing contractor in Central Florida. 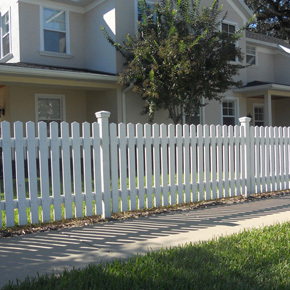 Our quality fence company is located in Apopka, FL. Smith Fence has been in business and providing fence contracting customer satisfaction for nearly thirty years. When it comes to quality Orlando fence contractors for installation and repairs, we strive for customer satisfaction and establishing a relationship with our clients built on trust and quality craftsmanship. With three decades of experience working with clients in Apopka, Orlando and Central Florida, we have developed our business and maintained high levels of professionalism with exceptional work. As a three-generation fence contractor we have deep roots in the local community and offer a variety of fence contracting and installation services, from small fence repairs to large-scale fence installations. As our client, your experience when working with David S. Smith Fence, Inc will be second to none. It makes sense to have a Smith fence! We offer competitive fence prices within Central Florida. For further information on our fence company in Apopka FL, check out our About Us and Our Work pages.